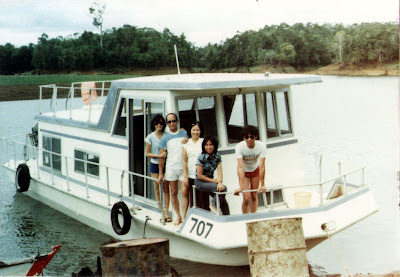 For the 4 days of Holy Week, Dad booked us on an unusual vacation – traveling on a houseboat in Lake Caliraya Reservoir in Laguna. 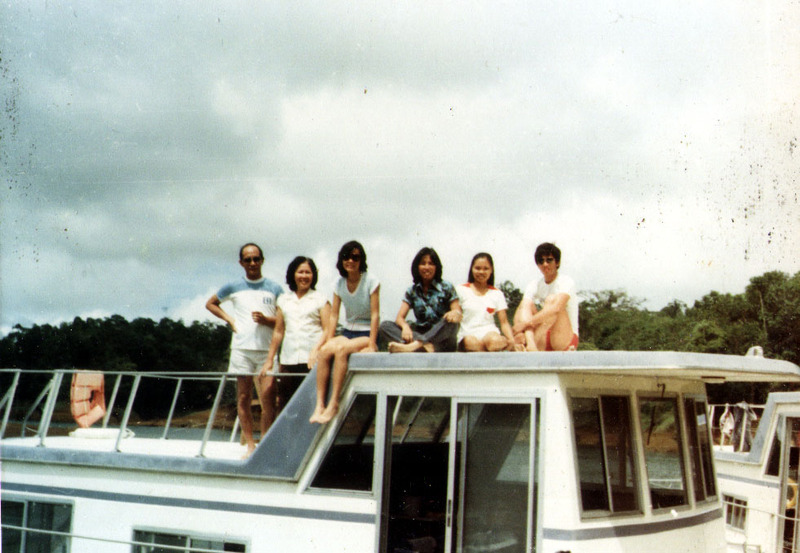 There were 6 of us joining – Dad, Mom, sisters Salve and Tellie, and me plus our maid Irene Nebreja. We also had a pilot and crew to bring us wherever we want to go on the lake. Our white-colored houseboat, with light blue trimmings, had spartan sleeping quarters, a dinette, kitchenette and a sun deck. 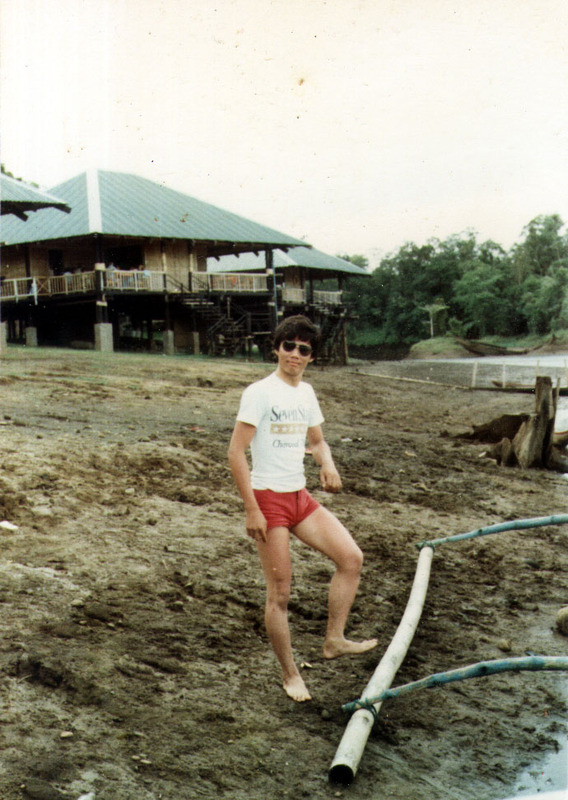 Our boat, part of a fleet of houseboats, was, according to our pilot, used by the cast and crew of the 1979, Francis Ford Cuppola Vietnam-era war epic film Apocalypse Now when they were filming some scenes in Laguna (notably the river scenes at the Bumbungan River and Pagsanjan Falls). Mr. Cuppola and stars Marlon Brando or Martin Sheen may have slept in it. Who knows? The massive, man-made Lake Caliraya is a mountain lake situated at foothills of the Sierra Madre Range at an elevation of 300 m. (800 ft.), between Lumban and Cavinti (a large portion is located here) . It was built in 1943 and supplies, together with Lake Lumot, runoff water to the Kalayaan Hydroelectric Plant complex located north of the town. Its original outlet was the Pagsanjan River, just above the falls, but now the smaller, artificial Lake Lumot feeds the main lake through a pipeline. Both lakes cover 1,834 hectares of land and 76.9 hectares of water resources. 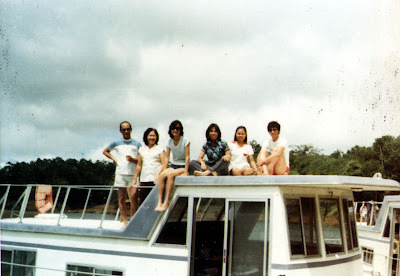 My brother Frankie with pregnant wife Cherry, Cherry’s Silahis International Hotel officemate Anna Purino and Cherry’s sister-in-law May Martin (the wife of Cherry’s elder brother Tony) also dropped by while we were docked and went swimming. Swimming here is not like that done in a beach or even a river as the lake’s shoreline of viscous red slippery clay steeply drops just a few feet from the shore. Again, according to our pilot, a kid drowned when he slipped on the mud and fell into the water. For safety’s sake, we all donned life vests in the water. Others just sunbathed at the boat’s roof. Windsurfing, waterskiingand shallow draft boating are popular here. Fishing especially for large-mouth (black) bass, carp, bangus(milkfish), tilapia and dalag (mudfish) is a favorite activity in the lake. 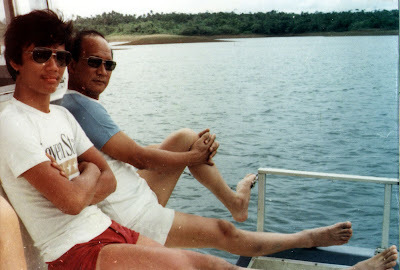 Dad’s friend, Gen. Victor Natividad, was also there for the waterskiing, bringing along waterskiing equipment as well as a speedboat. Frankie, May and I took turns trying to waterski. I was unsuccessful though as I kept falling when the speedboat started pulling me. Resorts and picnic grounds line the shore of the lake and, on Easter Sunday, we docked at Nayong Kalikasan Resort where we heard mass at its clubhouse prior to our return to Manila.